Benjamins are pleased to bring to the market this Three Bedroom mid terraced property in Cotgrave which offers spacious accommodation arranged over two floors comprising of a living room, kitchen, dining room, study/playroom with the first floor landing giving access to three good sized bedrooms and a family bathroom. Benefiting from gas central heating and UPVC double glazing, the property boasts a well maintained garden to the rear, with a blocked paved driveway to the front providing off road parking for two vehicles. 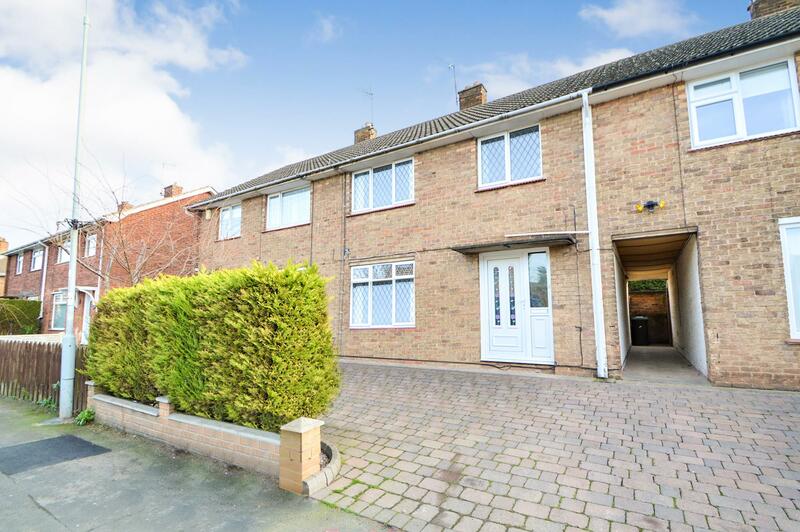 Situated within the sought after village of Cotgrave. The property is within easy reach of excellent facilities including the newly renovated shopping precinct, schools, doctors, the leisure centre and country park. The property also benefits from the frequent local transport links to the City Centre. Early viewing is highly recommended. To book your appointment please contact our new Cotgrave office on 0115 9371713. Double glazed window to the front elevation, radiator, pendant light fitting from ceiling, two wall mounted light fittings, carpet. A large Kitchen/Dining area with a window to the rear elevation, wall and base storage units, roll top work surfaces, built in electric oven with 4 ring electric hob and cookerhood over, tiled splashbacks, one and a half bowl sink with mixer tap over, tiled floor and plumbing for both a washing machine and dishwasher, space for tumble dryer. 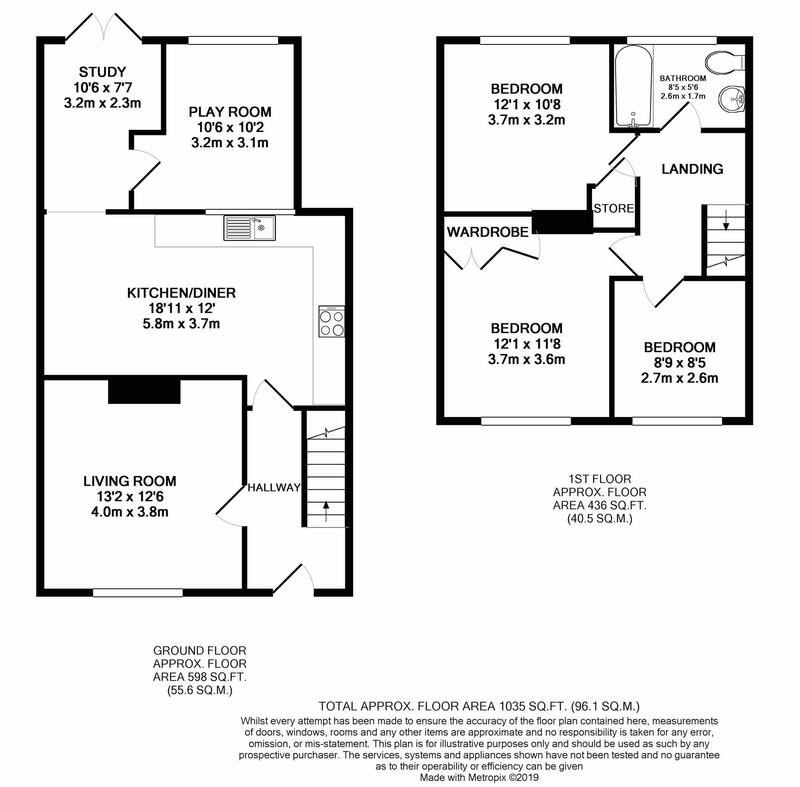 The rear extension is separated into a study/playroom, the study has a double glazed window to the rear elevation and french doors leading out into the rear garden, tiled floor and both room have spotlights. The playroom has a double glazed windows to the rear elevation as well a the front elevation, radiator and is laid to carpet, spotlights. Stairs leading to the first floor, doors leading to the lounge and kitchen diner, radiator. Doors leading to all three bedrooms and the bathroom, radiator, access to the loft. Double glazed window to the front elevation, fitted wardrobe, radiator, T.V point, light fitting, carpet. Double glazed window to the rear elevation, radiator, built in storage cupboard housing the boiler, pendant light fitting, carpet. Obscure window to the rear elevation, bath with mixer tap, shower screen and electric shower and shower head over, low flush W.C, pedestal wash hand basin with mixer tap over, spotlights, heated towel rail, full tiled walls and tiled floor. The front of the property boasts off road parking for up to two cars and is right next to the bus stop for convenient local transport to West Bridgford and the City Centre.